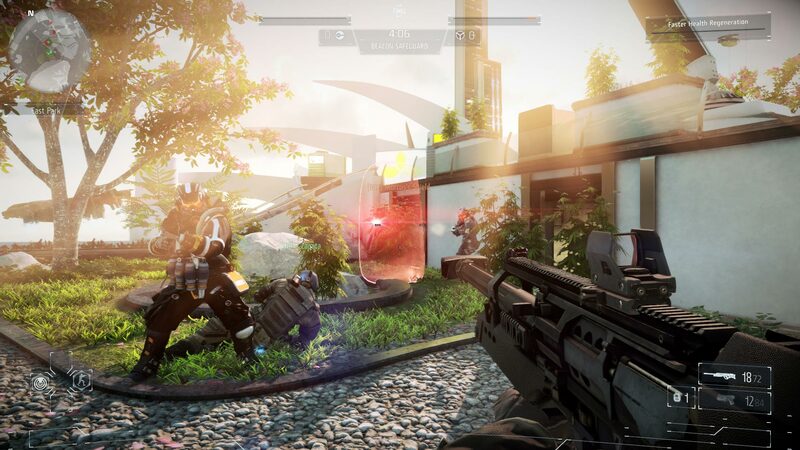 Killzone Shadow Fall introduced a conflicting story that blurred the lines of soldiers' righteousness to serve people and the cost of taking that oath. 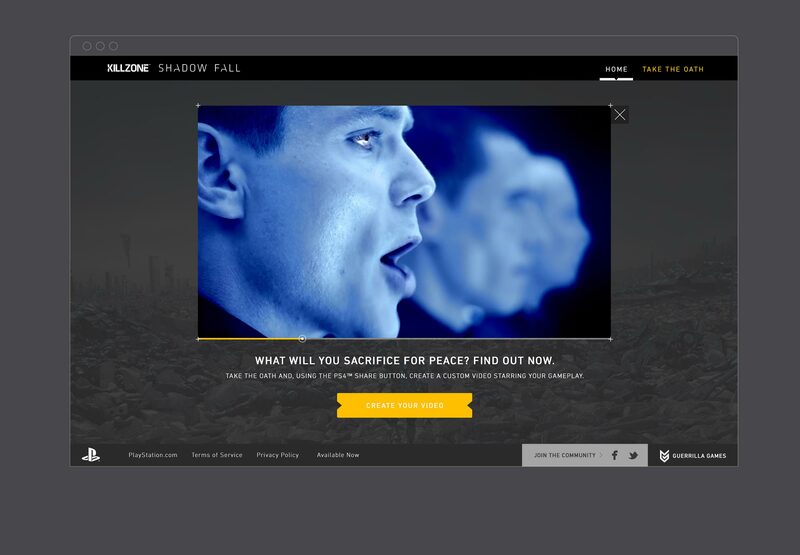 To illustrate that, we created a platform that invited people to share how far they will go in the game to uphold peace. 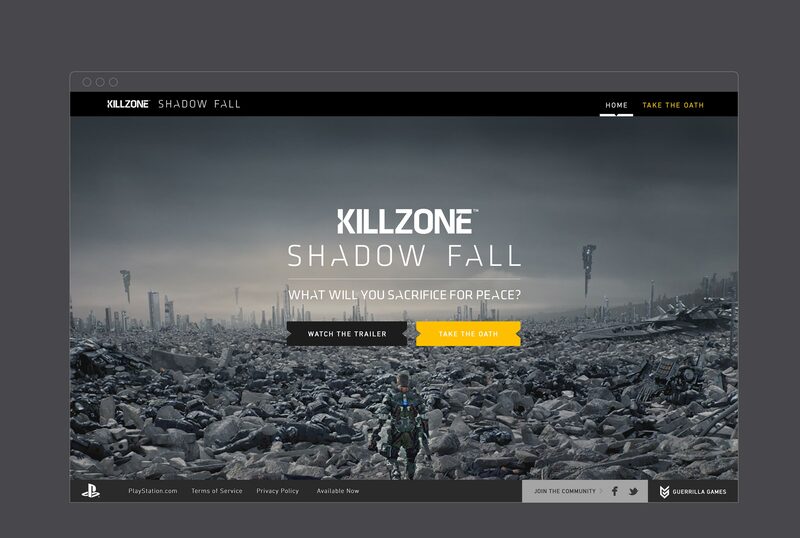 Players created their own version of Killzone Shadow Fall video we launched, using their own gameplay footage. 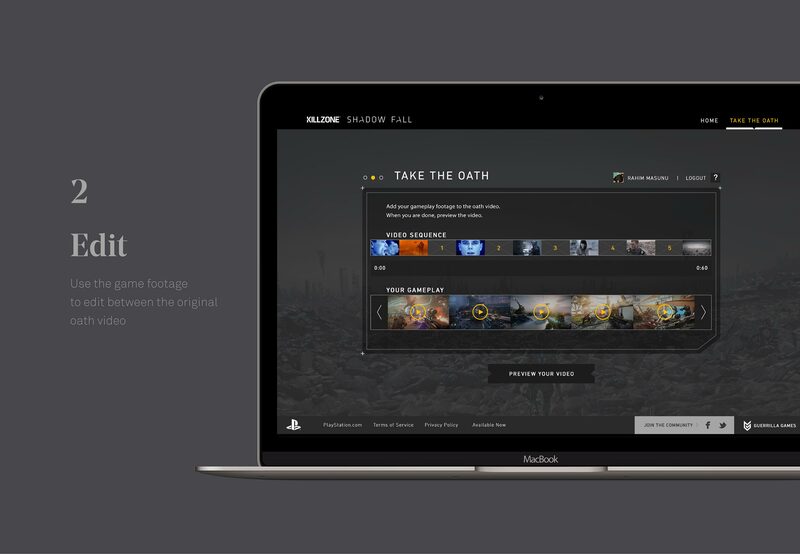 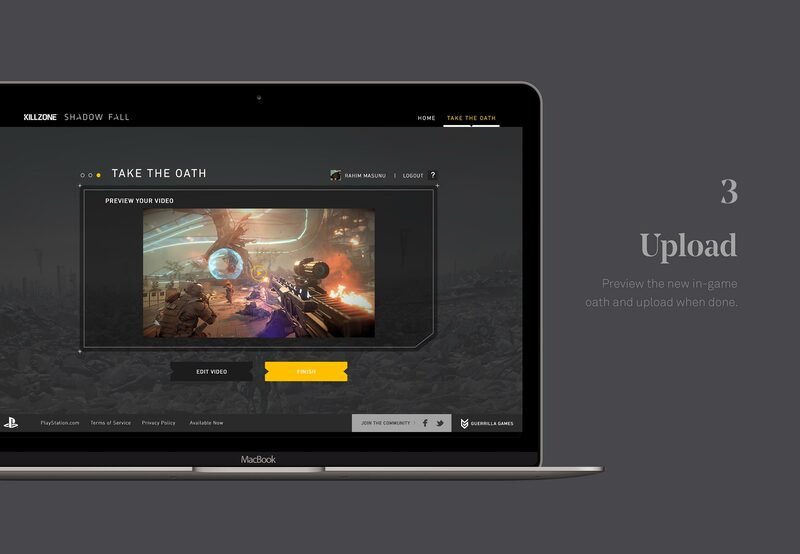 To highlight PS4's new Share Function, the web-app allowed user to mix gameplay footage and the launch video to create a personalized oath. 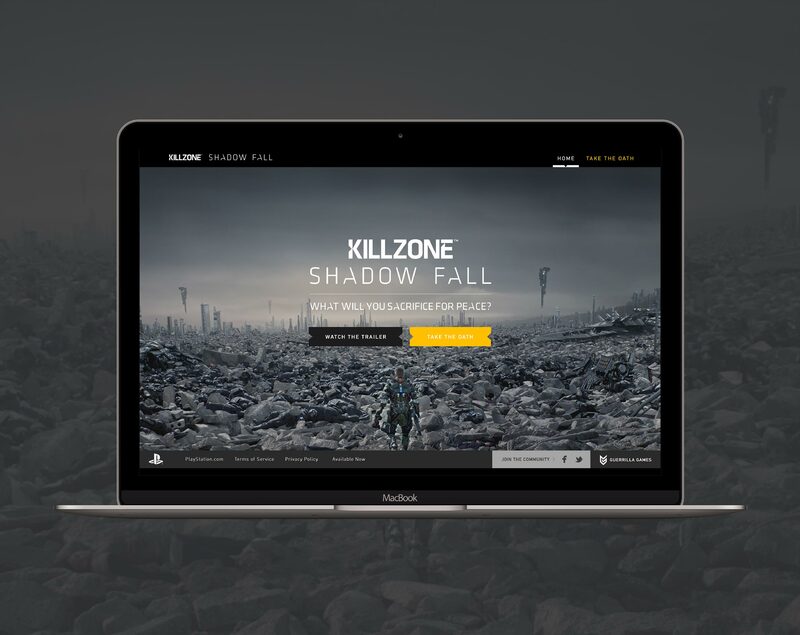 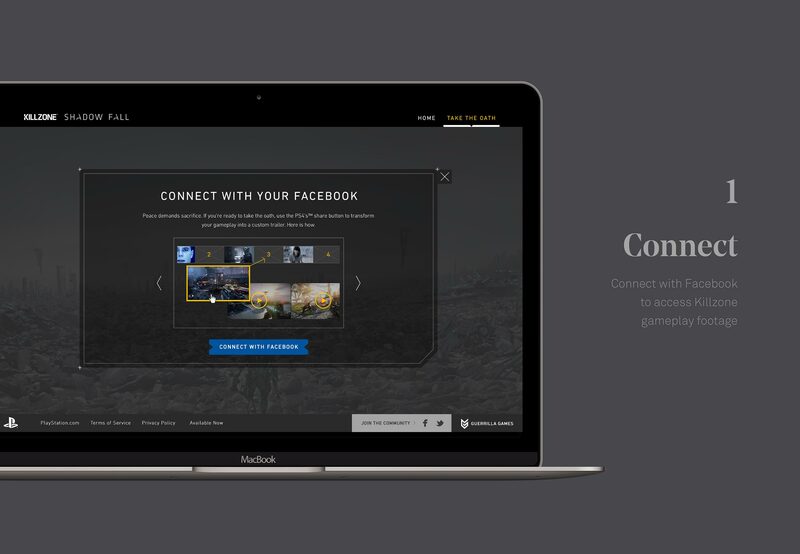 All captured PlayStation content from Killzone automatically appeared when users logged in, making it very intuitive for users to filter trough content, edit and upload.